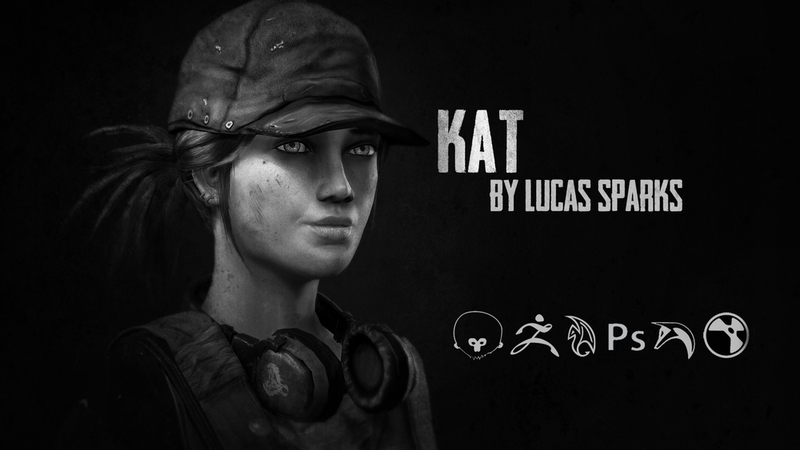 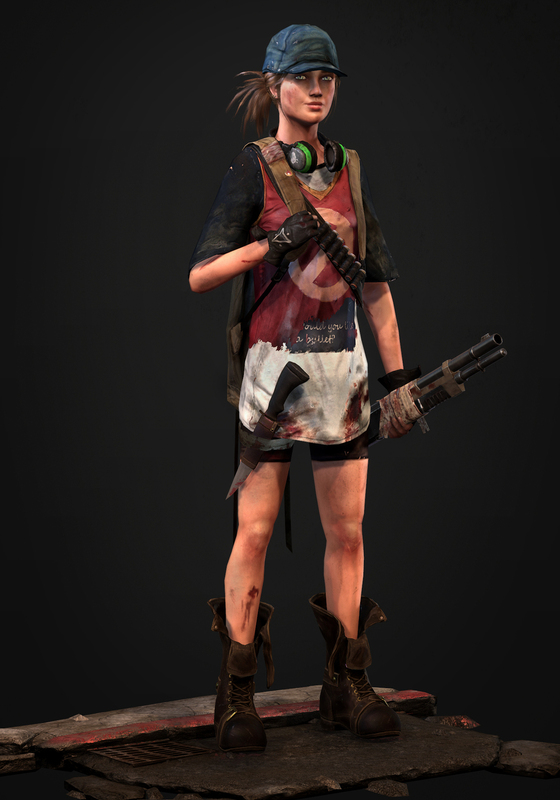 This is a game character based on a concept by Eric Tsyang (inspired by the Last of Us). 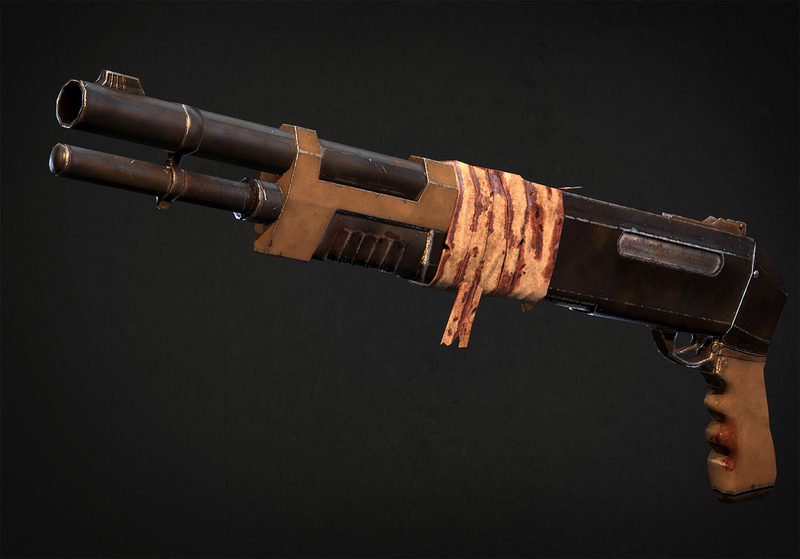 She is 22k Tri's total (including stand) and uses two 2k texture sheets and one 2k texture sheet for shotgun. 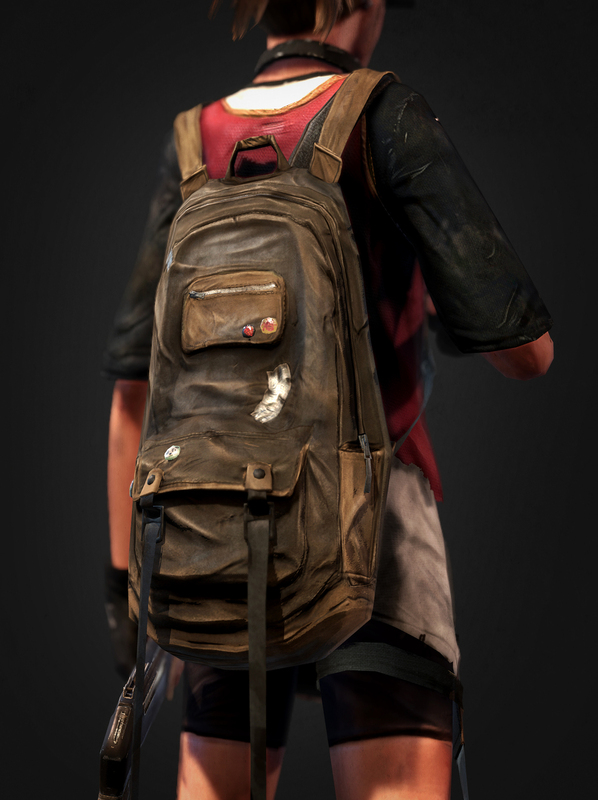 Her hair are cards and the rips are alphas. 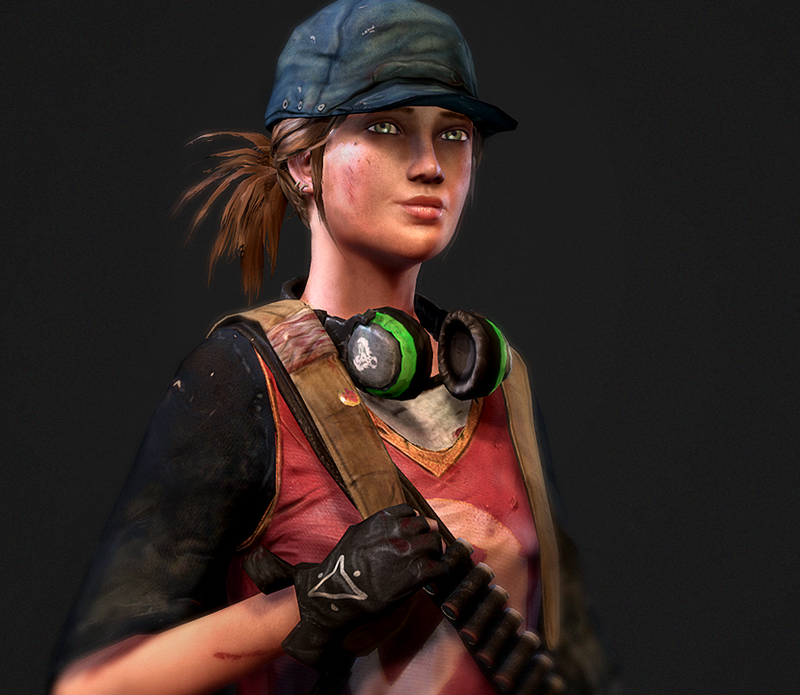 She was modeled in Maya, sculpted in Zbrush, baked in xNormal and then textured in Mudbox, Photoshop and some Mari -- then finally viewed in Marmoset.